The on-going trials and debates about The West Memphis Three have been discussed in Joe Berlinger and Bruce Sinofsky’s revered Paradise Lost documentary series. The docs have always been on my list of films to watch, but I’ve never been able to find the time. 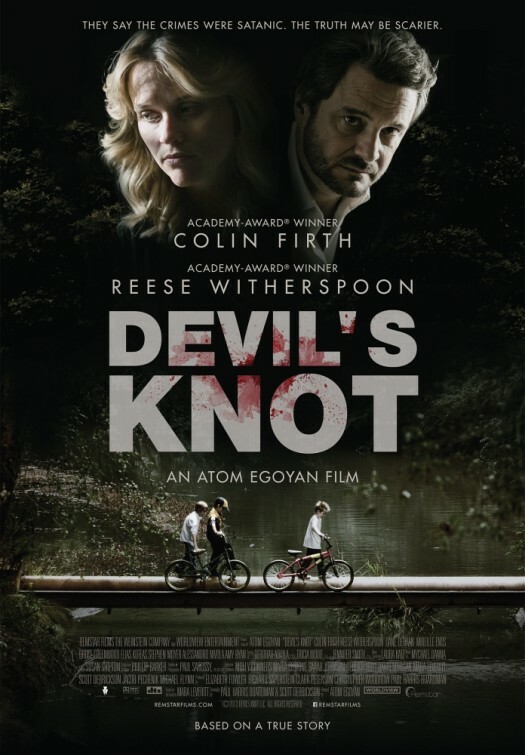 As I watched Atom Egoyan’s Devil’s Knot, I wished I had watched those documentaries about the controversial child murders first, rather than being educated by Egoyan’s ham-fisted reenactment. Devil’s Knot wants to deliver justice to these true events, but it always comes across as a Hollywood retelling. The southern aura is cleaned up which makes the environments artificial. I even had a hard time believing the film was being shot anywhere southern – it was. That’s a definite flaw when you’re asking the audience to allow themselves to be reeled into non-fiction. At night, the filmmaker is able to make the woods into an unsafe, intimidating place as the camera looms over creeks and brush. However, the lack of audible variety blows the film’s cover. Have you ever watched The Colbert Report? Y’know that eagle caw that precedes the main theme? Count how many times you hear that stock sound effect. The film’s authenticity stays flawed as key players show their faces. The actors are all very recognizable as are their thick, slathered-on accents. Performers like Reese Witherspoon are able to stick to the dialect and make it – at least – halfway convincing. Most go too far though, and are barely able to get around their dialogue. The most baffling performance is from character actor Kevin Durand, who’s portrayal of John Mark Byers is straight out of a hickabilly cartoon. Colin Firth plays a type of devil’s advocate in which he doesn’t want to see injustice prevail. His representation of private investigator Ron Lax has been written in a way that holds Firth back. He follows a basic character outline and is missing any personality traits that make him interesting outside his theories. The look on Firth’s face throughout Devil’s Knot tells me he was thinking similarly. Egoyan’s film is never-ending, but I believe this is intentional. The case itself has sprawled over many years with witnesses altering their stories or drawing blanks altogether. While we comprehend Egoyan’s directorial decisions, it affects the pacing and makes Devil’s Knot into a coveted slog. Atom Egoyan still shows respect behind the camera, however. He understands the reality behind the motivations on both sides of the story, as well as how disturbing and upsetting the subject matter is. His version of the events may be more digestible to a widespread audience looking for a captivating murder mystery, but the distress that lines each judicial turn all remain and are not dulled down by any means. 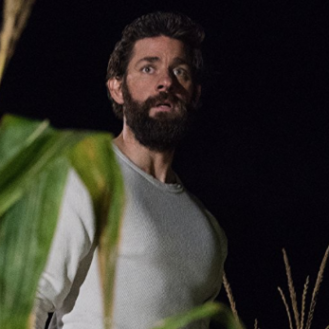 I believe the daring director has made the sombre film he’s wanted to make based on The West Memphis Three, but it’s not particularly a rewarding watch aside from Witherspoon’s good performance and a few other decently acted sequences. As we watch lower third graphics get more information heavy explaining a situation or “the moment before” in addition to those lengthy text blocks explaining the case’s next steps, movie goers take it all in but we question if this material should’ve even been told this way in the first place. There’s so much ground to cover, Joe Berlinger and Bruce Sinofsky took three docs to follow it. Berlinger and Sinofsky should get started on a letter addressed to Egoyan though, thanking the Canadian-based filmmaker in advance for increased sales on their sprawling documentaries.